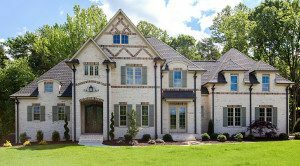 Whether you are buying a spec home or are talking to your building contractors in Greensboro, NC, about having a custom home built, there are many factors you must take into consideration. When it comes to the initial planning phase, should you think about the overall square footage of your home or worry more about functionality and design. Do you have younger children or are they older? Do you plan to use your kitchen to cook big meals and entertain? How much time do you spend in the bedroom or the common areas? Do you like to spend time outdoors on a deck or patio? Do you entertain and how often? How much money do you have to spend on taxes? On maintenance? Any time you talk to one of the building contractors in Greensboro, they are going to ask you questions just like these. The whole idea is to find out as much as possible about how you plan to use your new home. Doing so will help you and your contractors make the right decision regarding the size of your home. Resale Value: Functionality plays a large role in resale value as does size. For example, a home with 2.5 bathrooms will sell faster and for more money than one with only 1.5 bathrooms. Your Future: If you have kids or are planning to have more, you need to plan enough space in your home for them. This means adding another bedroom, making common areas larger, even adding an extra bathroom. Your Hobbies: Hobbies come in an amazing array of sizes. Do you quilt and need a large sewing room, maybe you’re a woodworker and need room for a shop, or perhaps you like to play noisy online games? These can dictate how much space you need in your home. Be True to Yourself: Take a good look at the dream home you are planning and think carefully about what you are planning to have your building contractors in Greensboro build. Do you really need a huge kitchen or are you just trying to impress others? Maybe you would be better off with a smaller kitchen and funneling the money towards another part of the house. For more help in determining how much square footage you truly need, contact R&K Custom Homes at (336) 643-3503. Our experts will work with you through the entire process. Then you can count on us to design and build your perfect dream home. https://www.randkcustomhomes.net/wp-content/uploads/2016/08/logo.png 0 0 Megan Boyd https://www.randkcustomhomes.net/wp-content/uploads/2016/08/logo.png Megan Boyd2017-01-08 02:29:192017-08-02 02:33:00What Square Footage is Right for You? Best Questions to Ask your Home Builder What Makes a Home More Energy Efficient?